How Far is Elegant Esplande? 6 thick external walls and 4 thick internal walls of solid block masonry. 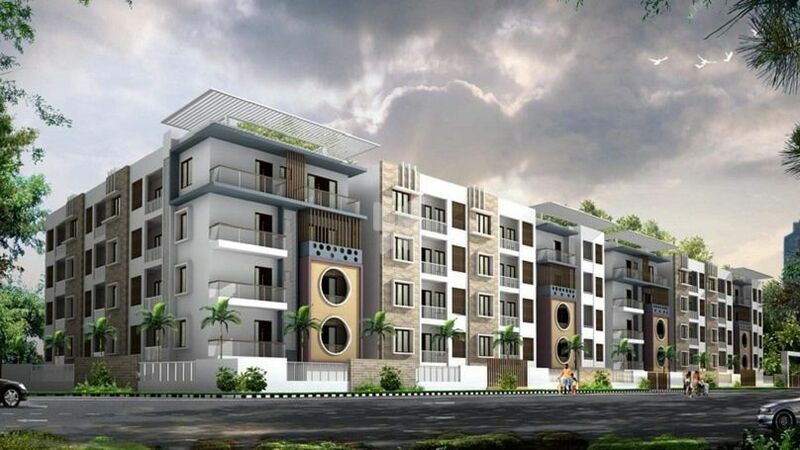 Flooring with antiskid tiles & glazed tile dadoing upto T height with Hindware / Jaguar fittings or Equalent Provision for geyser point be provided. 1/14 CABLE TV : Provisions for cable connection in Master bedroom & Living room. Acoustic enclosed D.G. Set, back-up 100% for common areas and 500 watts for 2 bedroom and 650 watts for 3 bedroom. Main & Pooja doors of tea with polished finish. Sal wood frame & flush doors. Concealed typed conduits, fire retardant Anchor wire and with Elly Switches or Equalent. 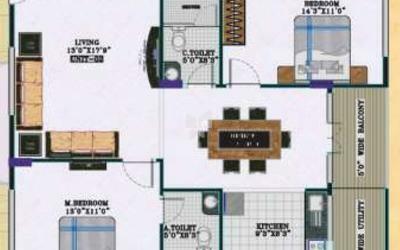 T.V., telephone & AC points provision in living & all bedrooms. Generator back up will be provided for common area & 0.5 kw to each flat.,. Elegant Builders & Developers are Professional Builders and Promoters in Bangalore. Our aim is to provide reliable, cost-effective, hassle-free, expedient and trusted Proprty services to our esteemed customers. We belive in "Your Comfort Is Our Priority" and keeping this in mind we have set high standards for our selves to achive the goal.